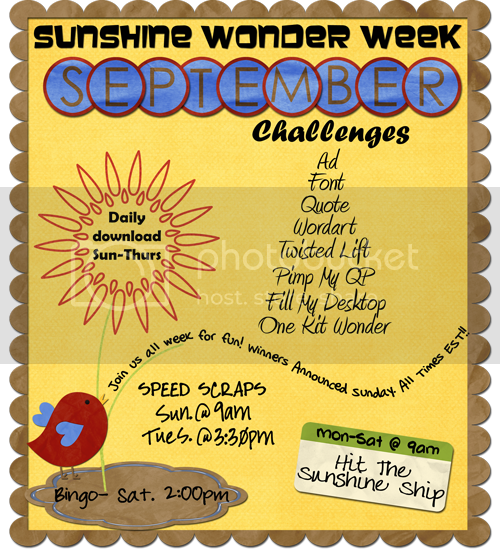 the chaos: September Wonder Week!!!! The girls are up to again. Creating another fabulous digi scrapping time at Sun Shine Studio Scraps! Challenges, Daily Download, Bingo, Speed Scraps, and Prizes!